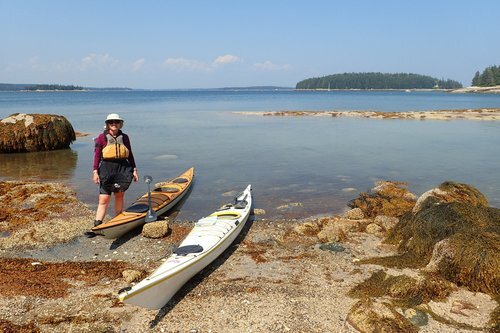 The island archipelago in this region of Maine offers some of the finest and most scenic kayaking on the eastern seaboard. 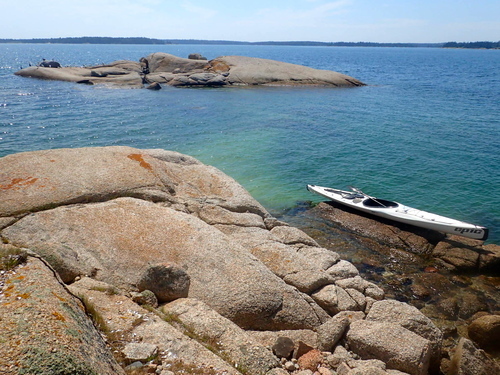 Rocky inlets, low-tide sandy beaches, sheltered coves, pine woods reaching down to the water's edge - this will be our environment for two or three days. The islands are accessible only by kayak or small boat and we'll reach them by kayak and explore some on foot. Before your trip, please read and sign our online confidential Medical Questionnaire and Liability Release Form. Our paddling route and campsite will depend on weather and on the experience of the group. 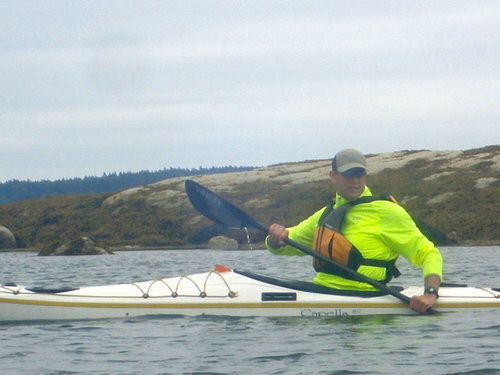 We'll meet at Driftwood Kayak home base at 17 Hardy's Hill Road, Deer Isle at 8:30am. After an orientation session we'll drive to our put-in at Stonington Harbor or Brooklin for on-the-water practice in sheltered water before heading out to explore the islands. We'll find a sheltered spot for a lunch break before paddling to the 'inner ring' of Merchant islands . Depending on the tide, we might stop at a secluded beach for some sunbathing or maybe a freshwater swimming hole for a swim before making for the put-in by 4pm. Total traveling distance will be around 8 miles, depending on conditions and on the paddling ability in the group. We'll meet at Driftwood Kayak home base at 17 Hardy's Hill Road at 8:30am. 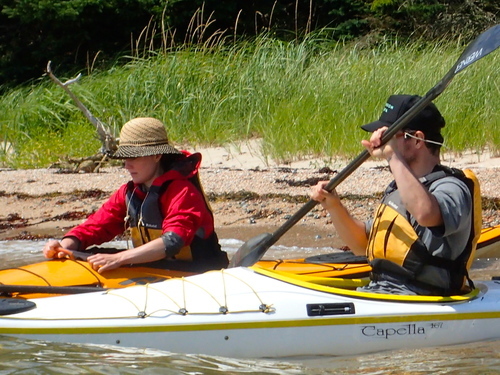 After an orientation session, we'll practice loading kayaks with gear, then drive to the put-in at Stonington Harbor. We'll do on-the-water practice in sheltered water, then head out to the inner islands before stopping for lunch. From there we'll select one of the Maine Island Trail islands to set up tents. 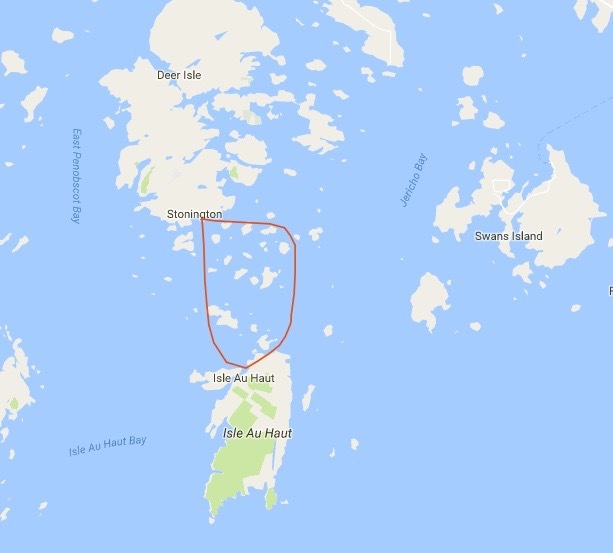 In the afternoon we'll explore some of the Merchant islands and plan on being back at camp by late afternoon. In the evening, we'll cook a mouthwatering dinner using locally sourced ingredients. After a fresh brewed coffee, you'll enjoy a great breakfast, then we'll break camp to explore the inner Merchant Islands on our way back to Stonington. You may also want to perfect your paddling technique or practice a deep-water rescue. We'll may stop for a swim at a local watering hole in the late afternoon and plan on being back at the put-in by 4pm. Total traveling distance will be 8 to 12 miles depending conditions and on the paddling ability of the group. After a nourishing breakfast, you'll spend the morning paddling through the outer Merchant Islands and south to Isle au Haut. We'll find a sheltered spot for a lunch break. In the afternoon you'll get out on islands to swim, do some sunbathing or we'll explore one or more of the islands on foot. Mid-afternoon and it's time to return to base-camp. We'll have another fantastic dinner and if it's a clear night you can star-gaze, watch the sunset before nodding off to the sound of the water lapping on the beach. You'll enjoy another great breakfast then, after breaking camp, we'll explore the inner Merchant Islands on our way back to Stonington. You may also want to perfect your paddling technique or practice a deep-water rescue or we may stop at a fresh water swimming hole. We'll plan on being back at the put-in by 4pm. Total traveling distance will be 15 to 20 miles depending conditions and on the paddling ability of the group.